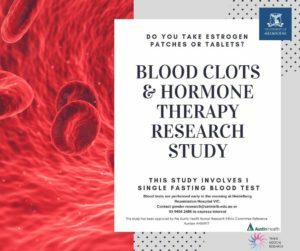 Taking oestrogen? The Austin hospital is running a research study over the next two weeks to see which type of estrogen most increases blood clot risk. Email gender-research@unimelb.edu.au with your preferred date and contact details.